We offer public tours when arranged in advance with our Guest Services staff. 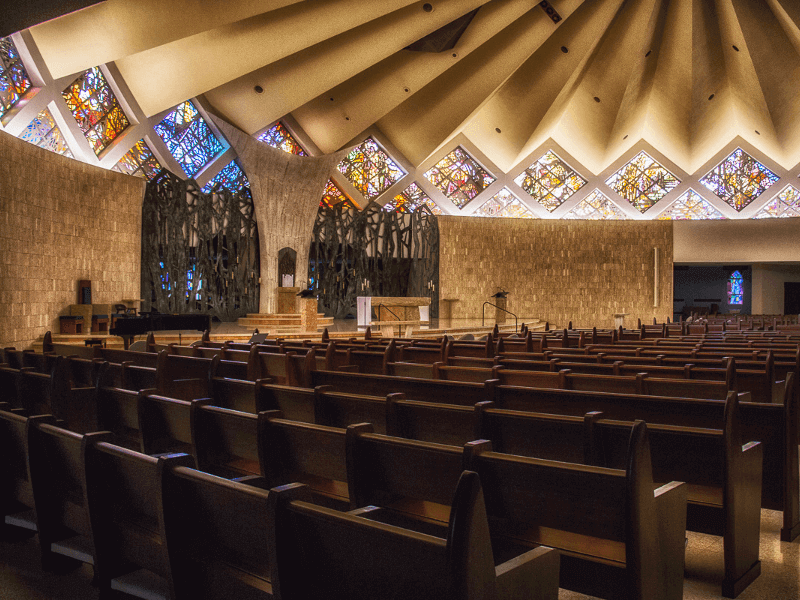 Tours include a visit to the heritage and Mazzuchelli museums, Sinsinawa Art Gallery, Queen of the Rosary Chapel, and dinner if requested. Please arrange your group tour at least two weeks in advance. 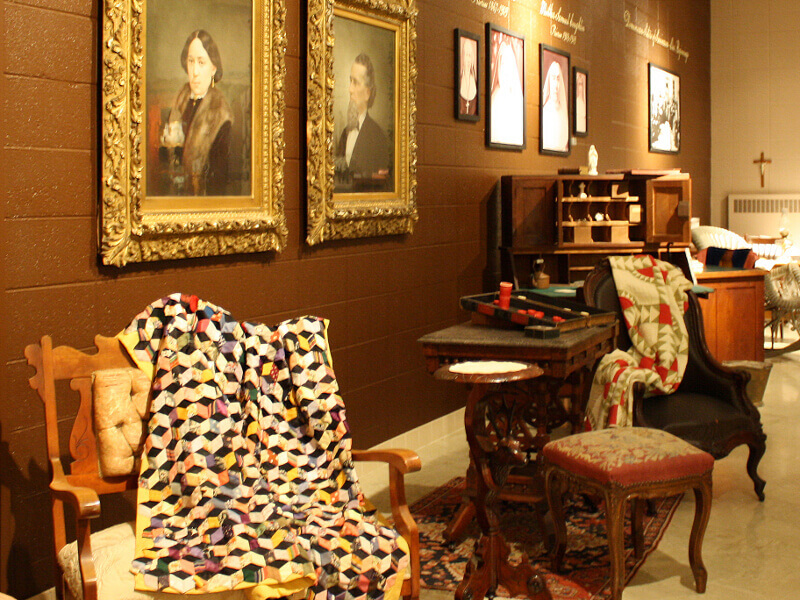 Travel back to the 1800s and explore our beginnings through “Tracing a Journey” and “Telling Our Story” exhibits. 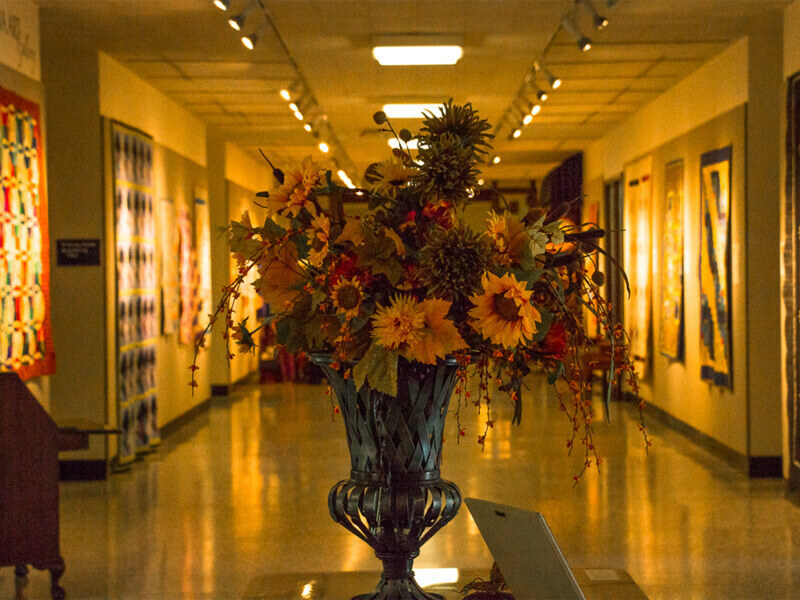 Enjoy the work of visiting artists who showcase their art in the gallery. From miles away, this remarkable landmark can be seen to call Sisters home and to welcome visitors. 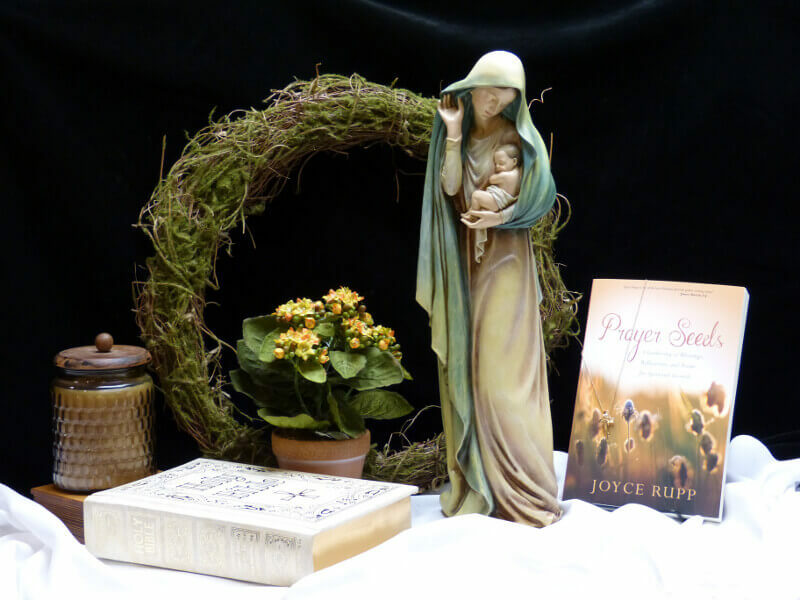 Enjoy one of the most comprehensive book collections in the tristate area along with a selection of fair trade items, sacramental keepsakes, and unique gift ideas for all ages. When you arrive, you quickly understand that Sinsinawa Mound is different. The distractions of the world fade away as you are taken in by the beauty of 450 acres of lush woodlands, orchards, vineyards, fields, and gardens. 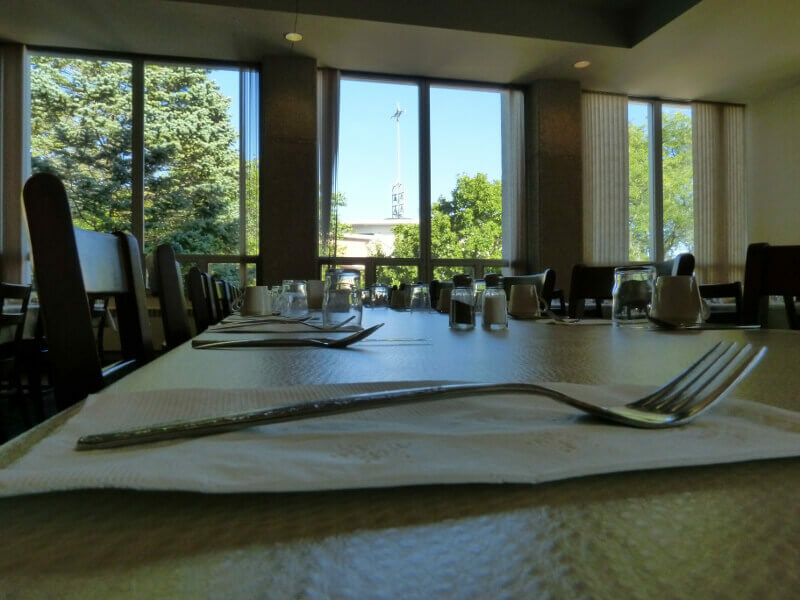 We are happy to welcome your next group event here, where you will experience warm hospitality in beautiful surroundings ideal for corporate focusing, organizational gatherings, and increased mindfulness. Our professional assistance will free you to focus on achieving your overall objectives and leaving the details to us. Several meeting rooms are available for groups of many sizes. Our experienced staff will accommodate your set-up requirements to effectively provide the optimum meeting environment. From fresh salads to delicious desserts, our food service staff prepares home cooked meals daily. We welcome guests who are on retreat or attending our programs to join with us.